It’s time you took control of your transmission line operations, in implementing the newest in effective solutions. When the problems on the ground are difficult to solve, a solution by air is the answer you’re looking for. With the capacity to haul cargo and workers alike, and the provision of a holistic perspective from the sky, a FairLifts helicopter provider can render your roadblocks into opportunities. Rates for transmission line construction procedures by air have never been more affordable, making this your chance to command procedures with unrivaled efficiency. Home to a humid, subtropical climate, Mississippi experienced periods of weather optimal for aerial flight. Though temperatures vary within the state, the warm atmosphere can satisfy helicopter pilots like little else can. However, when weather conditions prove less than optimal, a helicopter can perform in conditions that would debilitate a transmission worker on-foot. In recent years, Mississippi has seen a spike in transmission line installation, and so an increase in associated operations. More than 2,000 miles of transmission lines have been recently installed, many in difficult-to-reach areas that benefit from helicopter implementation. It’s easier than ever to reserve a transmission line construction helicopter for your ventures. Booking with FairLifts allows you the freedom to focus on other matters, while trained, professional pilots make short work of transmission undertakings. Transportation of work crews to both offshore locations and lines at high elevation can also be arranged, with minimal difficulty. 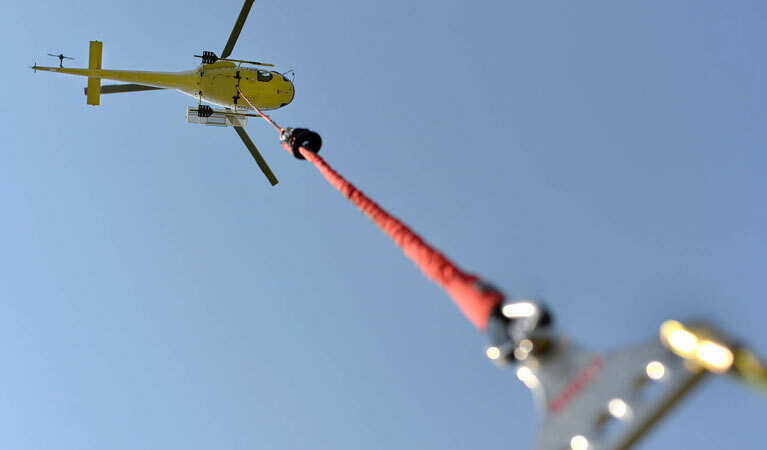 No matter the extent of your external load or heavy lift necessities, a helicopter is uniquely qualified to make the effort a simple one. The obvious solution to heavy lifting and external load work alike, helicopter providers allow for painless movement of cargo, no matter its destination. No matter the total length, wire stringing procedures require the ideal combination of delicacy and efficiency. A helicopter can allow for these conditions, operating with unrivaled adaptability and speed, while at the same time ensuring that the wire itself is maintained and placed appropriately. String wire with ease, for less. Install utility poles in a fraction of the traditional time, when your transmission line construction in Mississippi is provided with an aerial dimension. When implemented from above, utility poles are easily managed and maintained. Trained pilots can make short work of utility pole installation. Your ROW and site inspection procedures are rendered simple and straightforward, courtesy of an aerial perspective that a helicopter alone can provide you. Inspect the entirety of your site in no time given your airborne advantage, whether you’re showing the site to new hires, or demonstrating capacity for prospective investors. Contact a FairLifts customer service agent in Mississippi today, to put unrivaled aerial efficiency to work for you. Our representatives are available every hour of every day, to answer any of your questions and to help you book your flight package. You can also fill out an online contact form and expect an answer within a day.